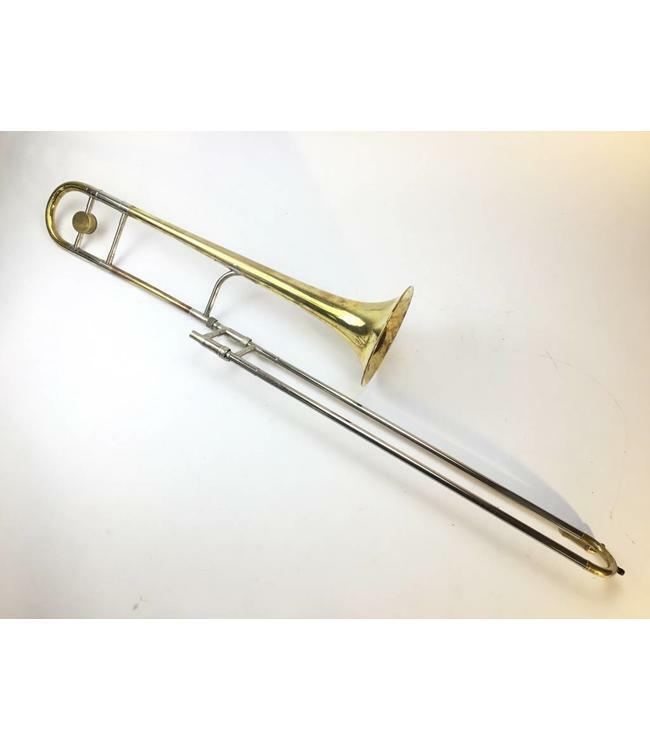 Used King “Liberty” 2B Professional Bb Tenor Trombone in lacquer. .481”-.491” dual bore light weight nickel silver hand slide, 7.5” bell flare. Instrument is in good condition apart from heavy lacquer wear throughout and minor dings throughout tuning slide. Comes with factory installed custom spit valve. Comes with case.